Do you know what day it is? It’s World Cardmaking Day which gives me a great excuse to hide up in my craft room all day. It also helps that it’s cold, cloudy, windy and suppose to rain today! Hello coffee and crafting! Today I have a card that was again directly inspired from Big Picture Classes. This class was on clean and simple card making by Erin Taylor. I used Glacier Exclusive Ink™ and a cloud stencil from The Crafter Workshop on a piece of white cardstock to create the background. 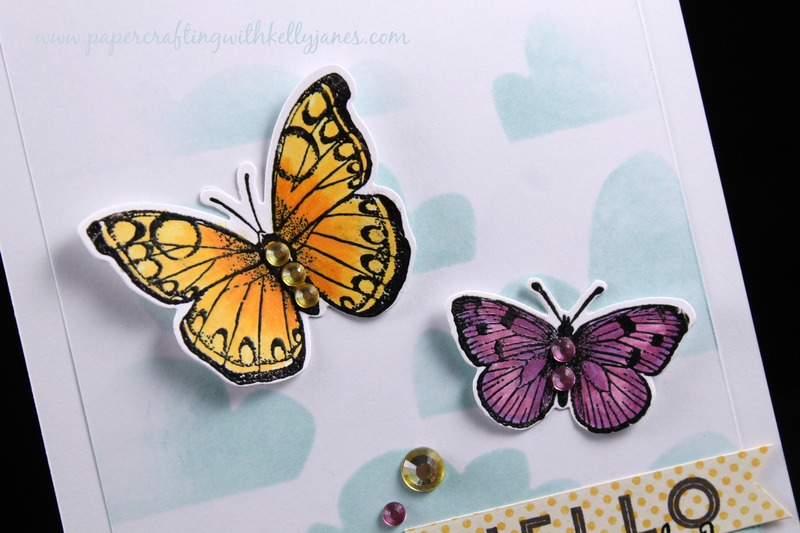 I then used Black Pigment Ink, Clear Embossing Powder and a Hero Arts Stamp & Die combo to create the butterflies. I then colored the butterflies using ShinHan™ Touch Twin™ Markers (P83 Lavender, P282 Peony Purple, Y222 Golden Yellow, YR24 Marigold, Colorless Blender). The sentiment is stamped on a piece of scrap paper from my stash using the stamp set included in the Artfully Sent Cricut® Collection, Black Exclusive Ink™ and a rub-on from Making Memories. I wanted to add some bling to the cards but didn’t have the colors I needed so I colored the Clear Sparkles using the Lavender & Golden Yellow ShinHan™ Touch Twin™ Markers. I mounted this piece of white cardstock onto a top folding white card base. 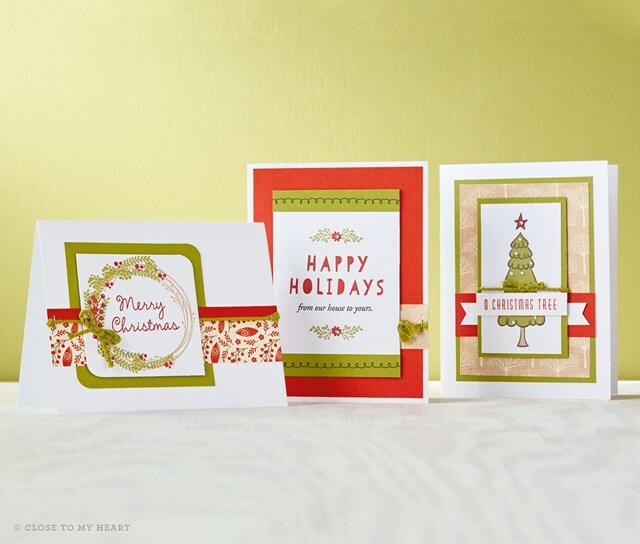 Next on my cardmaking list is Christmas cards using the White Pines Workshop On The Go® Cardmaking Kit!